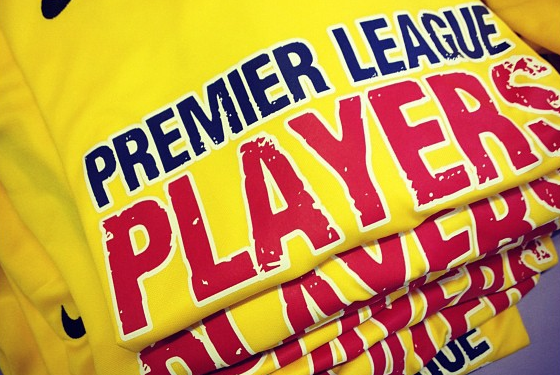 Schools and district teams in England and Wales can apply for a free kit as the Premier League Players' Kit Scheme re-opens for 2016. Funded by players at each of the 20 Premier League clubs, the scheme, which is now in its fifth season, has provided over 4,000 schools and junior clubs with a free kit for a squad of 15 players, with 63,765 individual kits being given away since the scheme launched in 2011. Junior teams at grassroots clubs were originally eligible for the scheme, but it is now restricted to schools, higher education colleges and district representative teams. Stoke City goalkeeper Jack Butland recently handed out a kit at Newstead Primary School in Stoke, who applied to the scheme last season. "The Premier League Players' Kit Scheme is a brilliant opportunity for us to give back to the local community by handing over some kits which can hopefully help get kids active," said Butland. "It's nice to come to the school and see kids so passionate about getting out and playing football. They seem really pleased with the new kits. It's a very simple thing but it gives a little bit of motivation, a little bit of encouragement to the guys to get involved." Simon Morgan, Head of Football Relations at the Premier League, said: "Over 4,250 schools and district teams have already benefited from the Premier League Players’ Kit scheme thanks to donations from Premier League players. "I hope that the attraction of having the Premier League badge on their shirts will encourage more schools to sign up via the online application form, which in turn will help encourage their participation in football." The Premier League Players' Kit Scheme is open to any English or Welsh state, academy or free school, higher education college or district representative team that has not received a kit from the scheme in the previous two seasons. To apply please complete this online application form.